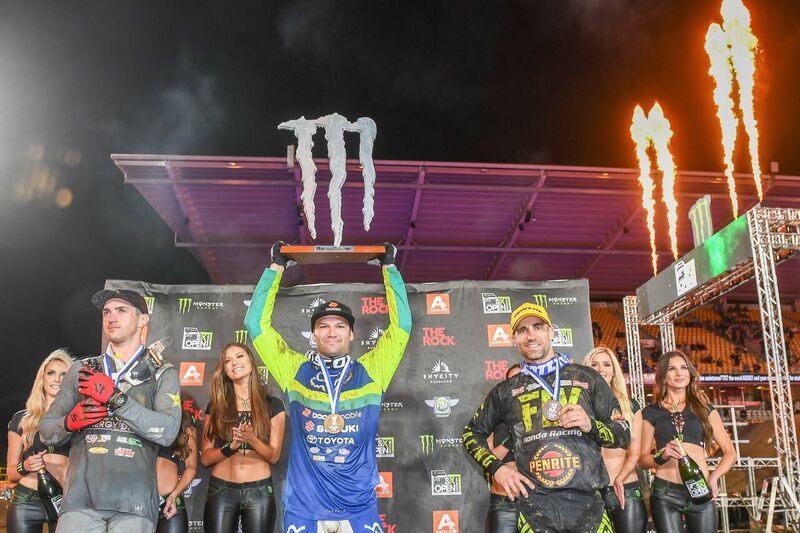 Australia’s Chad Reed clinched the Overall Monster Energy S-X Open Championship winning all 3 races in front of cheering fans at Auckland’s Mount Smart stadium last night. In what has been challenging conditions with weather playing havoc to complete track build along with event infrastructure, S-X Open went off with a huge bang, entertaining public, many never have witnessed the sport down-under. 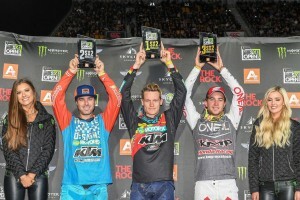 Putting on home country performance was NZ’s Josiah Natzke, recently back from racing in Europe, and showing all there, experience racing overseas pays off, holding pressure, nerves and excitement at bay to race for 3rd Overall in SX2 class. With International Riders having first taste of AUS SX Open in NZ, slotting event at end of Australia’s SX Championship Series, and pre-America’s AMA SX Championship which kicks off at Anaheim 1 January 5th 2019, there is opportunity for SX-Open to be back in gods-own in the future. America’s Justin Brayton took moment out of schedule to speak on the sport- his SX Season back home, his 3rd time SX Championship Title in Australia, and his daughter’s ‘no pressure’ to bring more trophies home.